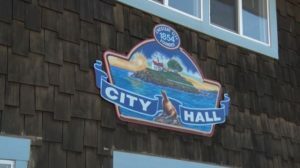 CRESCENT CITY – Crescent City’s City Council will vote on a resolution the organization True North provided aiming to end homelessness, at a special council meeting Tuesday night. True North got the attention of the council at their last meeting where they came up with a list of reasons to make ending homelessness a top priority in Crescent City. They had requested the council’s approval, but the decision made was to place this item on the September fourth agenda. The council is scheduled to vote on it Tuesday night at their meeting at the Flynn Center starting at 6:00 pm.